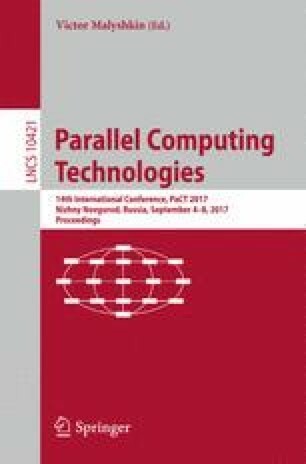 Parallel implementation of the implicit LU-SGS solver is considered. It leads to the graph coloring problem. A novel recursive graph coloring algorithm has been proposed that requires only three colors on 2:1 balanced quadtree-based meshes. The algorithm has been shown to allow simple parallel implementations, including GPU architectures, and is fully coherent with local grid coarsing/refining procedures resulting in highly effective co-execution with local grid adaptation. This research was supported by the Grant No. 17-71-30014 from the Russian Scientific Fund.